Open apsrtconline.in and find the following portion in the website (given in image below) and click on eTicket Login button. After clicking eTicket login button a new page with the login form will appear. 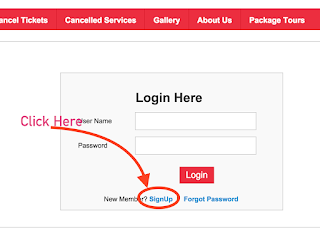 Just below the login form you will find the sign up link. Click on the sign up link. Shown in image below. Then the registration form will open. Given in the image below. Fill up the details as asked. Login Name: Any name that you will be asked to enter in username while logging. You can use alphabets and numbers without spaces. Full Name: Your full name. Enter your real name. e-Mail: Enter you e-Mail address like you have an account in gmail then example@gmail.com or example@yahoo.com for yahoo mail users. If you do not have a mail then first create an email account. Similarly, you can enter the other details. For ID Card Type select the ID you have like Driving license, Pan Card, Voter Card, Passport or ID issued by the Central or State government. Enter the ID Card Number in box below. Also enter name of Issuing Authority printed on the card. What problem you are facing in registration? Address in the address box. 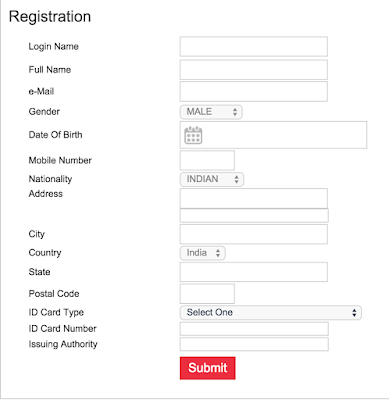 You do not need to fill address for bus ticket booking, just during registration you are required to. I am trying to register and login to the apsrtconline.in website but it says my password os incorrect even when I am writing the correct one. Please help me to book to book bus tickets on this portal. 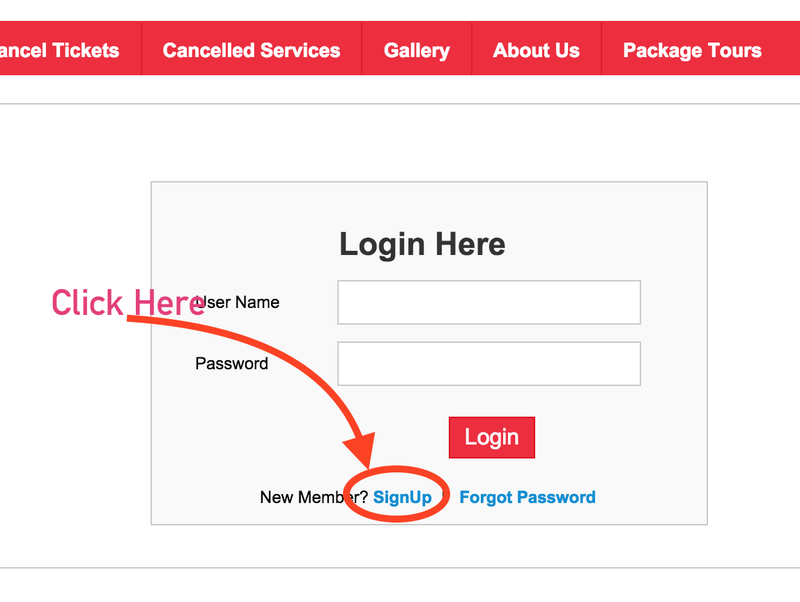 Please click on forgot password at the login form area and then follow the instruction to re login. Hope it helps! What is the problem you are facing while login? I am unable to book tickets at apsrtc login website. Whenever I try to login it says wrong password I alwys enter correct password.